The Gujarat High Court has held that there is no provision for grant of temporary certificate by the Bar Council for practising as an advocate. The Division Bench of Gujarat High Court headed by the Chief Justice R. Subhash Reddy made this observation while setting aside a Single Bench direction to Bar Council of Gujarat wherein it was directed to grant temporary enrollment number to a lady. Jalpa Pradeepbhai Desai, was not allowed to enrol as an Advocate due to her association with Gujarat Industrial Development Corporation as Legal Consultant. Contending that contractual arrangement of her service with the Gujarat Industrial Development Corporation cannot be viewed as employment and that there is no employee-employer relationship, she had challenged it, before the High Court. The High Court, then directed the Bar Council of India to take decision and place on record such decision in relation to her entitlement to get enrollment as an advocate on or before 13th June, 2016. 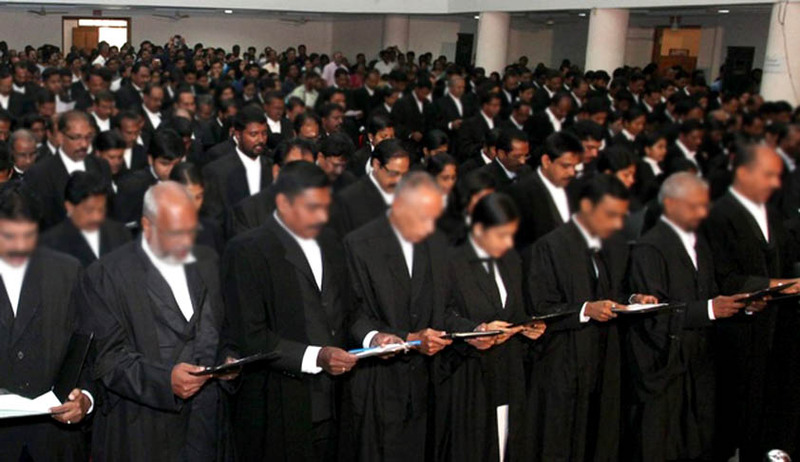 Finding that the Bar Council of India has not finally accepted or rejected the claim, the High Court granted her interim relief directing the Bar Council of Gujarat to grant her a temporary enrollment number. The Court then allowed the appeal preferred by the Bar Council holding that under the scheme of the Advocates Act, 1961 and the rules framed thereunder there is no provision for grant of temporary certificate by the Bar Council for practising as an advocate. "I was allowed to enroll as an advocate by BCG & BCI in 2012-2013 and they allowed me to appear All India Bar Exam but when I cleared my exam and asked for number and certificate of practice the took U-turn. hence I approached High Court," Jalpa Desai told LiveLaw.